It was a sold-out crowd at the New Daisy Theater, but that only tells part of the story. It was standing-room only, packed-to-the-max room full of smiling, happy...no, JOYFUL fans. The crowd was so very polite and just plain HAPPY to be there. And that, in a nutshell, pretty much describes both of these artists. 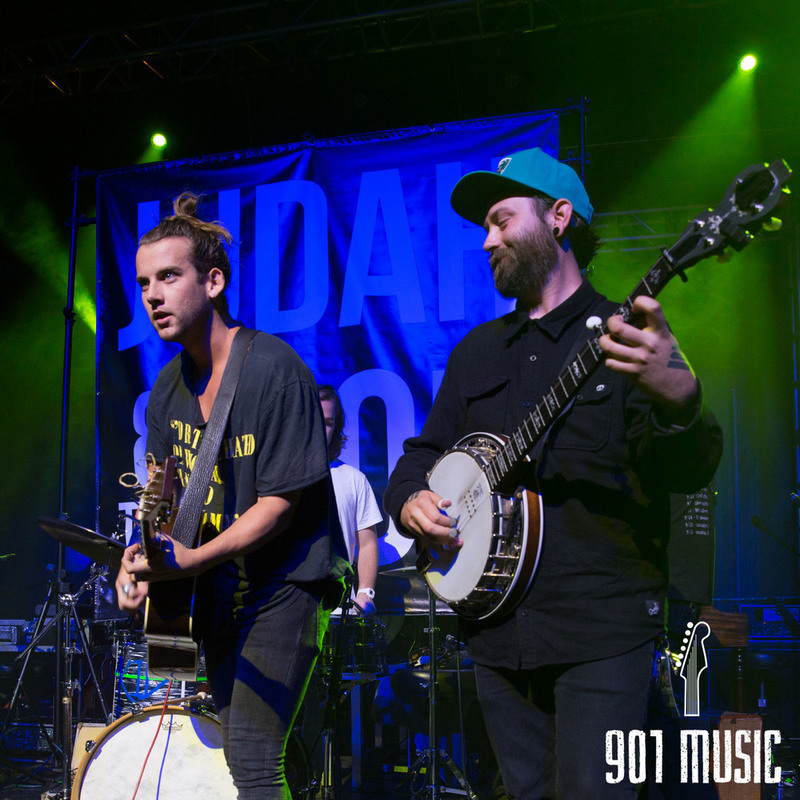 Judah and the Lion warmed up the crowd with a song that had fans jumping on almost the very first note. The energy and enthusiasm that permeated the stage was absolutely contagious. The bluegrass-folksy organic meets hip-hop style of this band from Tennessee (Judah is from Cookeville and the band members met at Belmont in Nashville) is uniquely brilliant. With the lead singer Judah (who was beaming with joy most of the time) on acoustic guitar, the other band members add an eclectic and incredibly unique sound with banjo, mandolin, accordion, keys and drums. The combination is fire! The vocal harmonies on “Seven Bridges Road” was perfection. The crowd joined in and then couldn’t stop singing and stomping their feet with this infectious band! “Mason Dixon Line” and “Sweet Tennessee” were both like coming home for Judah and for the audience. 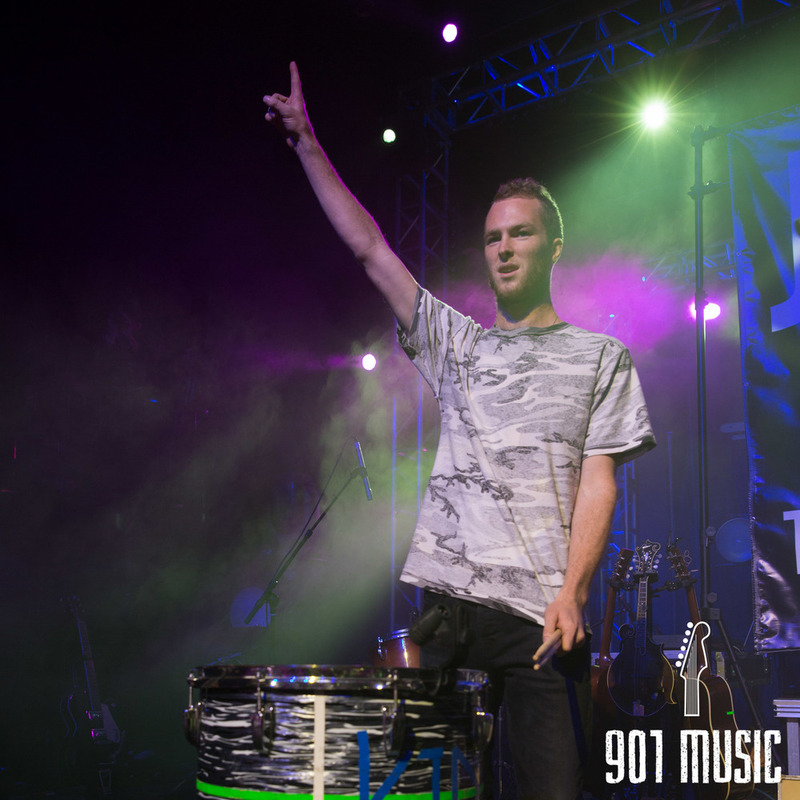 Judah proclaimed, “We freaking love playing Memphis. First time we played at the the High Tone...it was amazing. This town GETS us.” The crowd swelled up in unanimous agreement. Yes, there was an obvious connection between this band and it’s fans. At one point, Judah actually came out into the audience and danced with a few starstruck fans in the crowd. Next, “Play That Funky Music White Boy” with a freestyle rap from the mandolin player Brian Macdonald. The song “Somewhere in Between” had the crowd almost shouting the words. A song about stereotypes, the words rang true with the audience as they sang “I aint no hipster and I aint no redneck by any means...I guess I lie somewhere in between.” The final song, “Rich Kids” wrapped up their set and summed up the band’s life philosophy about the importance of “the simple things”. This upbeat, popping song had the fans jumping, singing, and shouting “hey” at the end of each line. 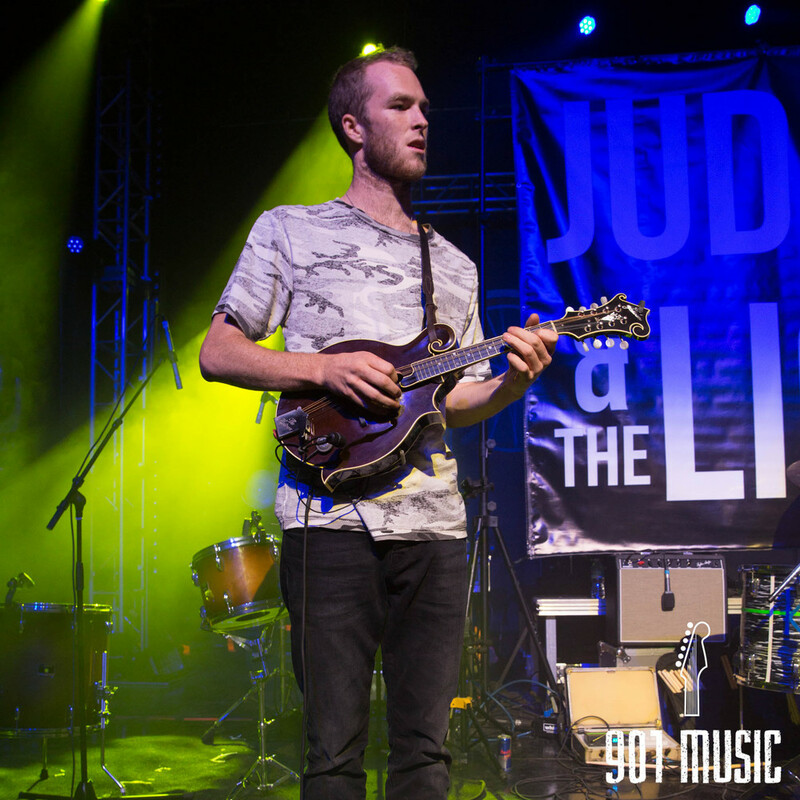 Judah and the Lion seemed to be having the time of their lives, and so did their audience. (Later Ben told us that Judah and his crew lost all of their monitors, which would be “like a pilot being blindfolded.” But the band never skipped a beat!) You can listen to their music for free on Sound Cloud...so go check them out! This up and coming band is going places! 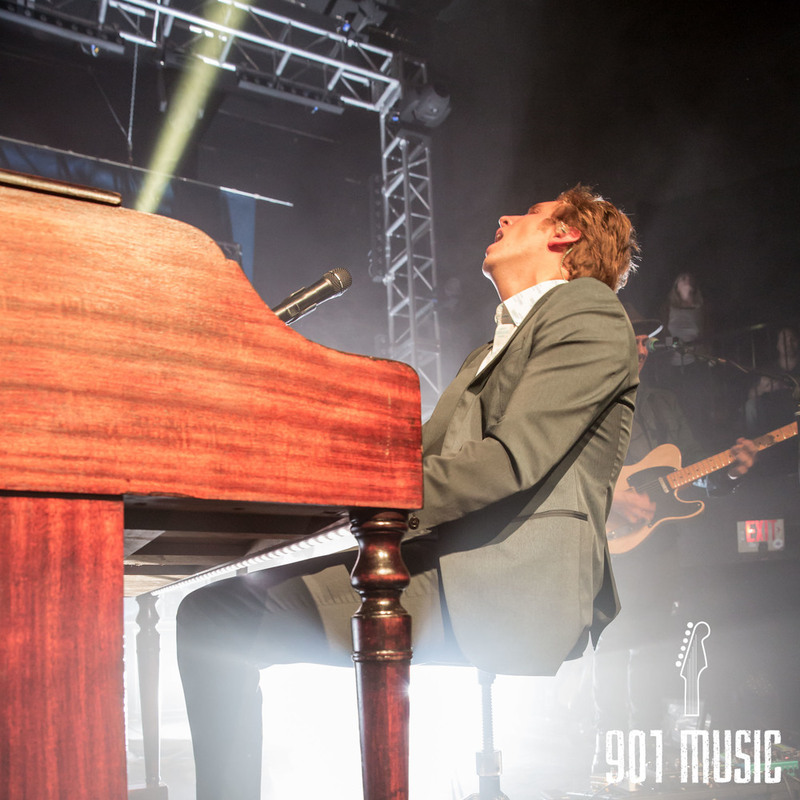 Ben Rector came out to a totally pumped crowd and did not disappoint! This masterful songwriter and artist is throwback to artists of the past like Billy Joel and James Taylor. Each one of his songs tell a story, and those stories definitely resonated with this crowd, almost like the backstory to their lives. A University of Arkansas graduate, Ben joked by asking how many were in town for the Memphis-Ole Miss game (which were quite a few). He said, “ “Let’s call the hogs. Nobody gets what this is in New York or Boston, but here, you guys get it.” But these football fans were his fans, too, and this crowd sang along with every word. The concert opened with Ben sitting at the piano, softly playing a slow song. “Something Beautiful” is not an obvious opener, but it was so simple, honest, and beautiful...an awestruck crowd just reveled in the beauty of this song and sang their hearts out, sharing the emotions of the songwriter. 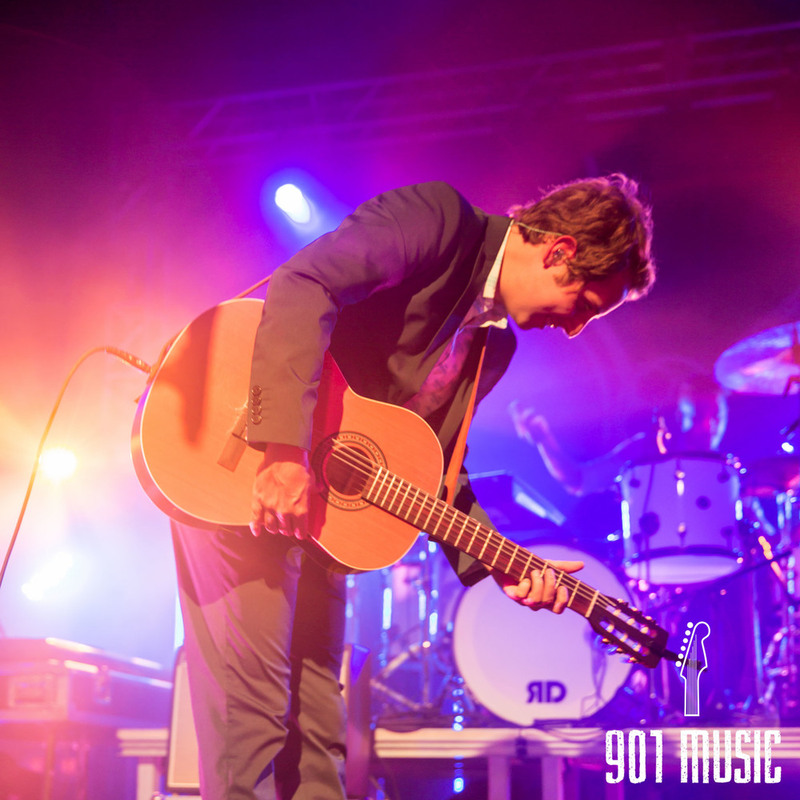 Ben picked up his acoustic guitar and pepped it up a bit with the next song, “Brand New” from his latest album. This album was just released a little over a month before the concert, but this crowd knew the song well and sang, jumped, clapped, pumped their fists and experienced the joy of this song, shouting at the top of their lungs “brand new” on the chorus. Back to the piano for Ben on “Favorite Song” which was obviously a favorite song of this crowd. Then the music turned a bit funky with “Never Gonna Let You Go” and a groovy electric guitar riff by the lead guitarist. The audience crooned along to “When A Heart Breaks;” the soulful melody had everyone swaying to the “pain of a heart break” and a moving guitar solo. On to a soulful sound with “Good Times Roll” which was just fun and fantastic. Next up “Fear,’ which tells the story of Ben’s journey as a performing musician. As he sang the words “hear a thousand people scream,” the crowd spontaneously screamed. The next song was reminiscent to Billy Joel’s Piano Man...only this time Ben was the piano man and the crowd was crooning to the heartfelt “Men That Drive Me Places.” The evening continued with “Paris”, “Note to Self”, “Forever Like That” (with Ben on acoustic, and a mandolin and accordion joining in and a harmonious vocal ending that had the crowd cheering). Then a surprising twist with a One Direction Cover “Steal My Girl,” which never sounded better! The concert continued with “Like the World is Going to End”, “When I’m With You”, then Ben told everyone to dance and shake it out on “The Beat.” Next “Follow You” and a chilling version of “Sailboat”. Ben closed the concert with an energetic “White Dress”. Worth noting, one of the band members was Cody Fry, whom you may remember from Season 14 of American Idol. He jumped between instruments almost as much as Ben and the vocal harmonies the two shared was nothing short of spectacular. Ben spent time engaging the audience in conversation. He told the audience, “I want this to feel like a living room. As these shows have gotten larger, it’s harder to feel intimate and connect with your audience. Jerry, let me see these people. <lights turned up> People in the back how are we doing?? ?” He even came out into the audience and connected with the fans, too! One fan brought a huge cut-out of Ben’s Head (check out Ben’s Instagram post from the Memphis concert to see it). 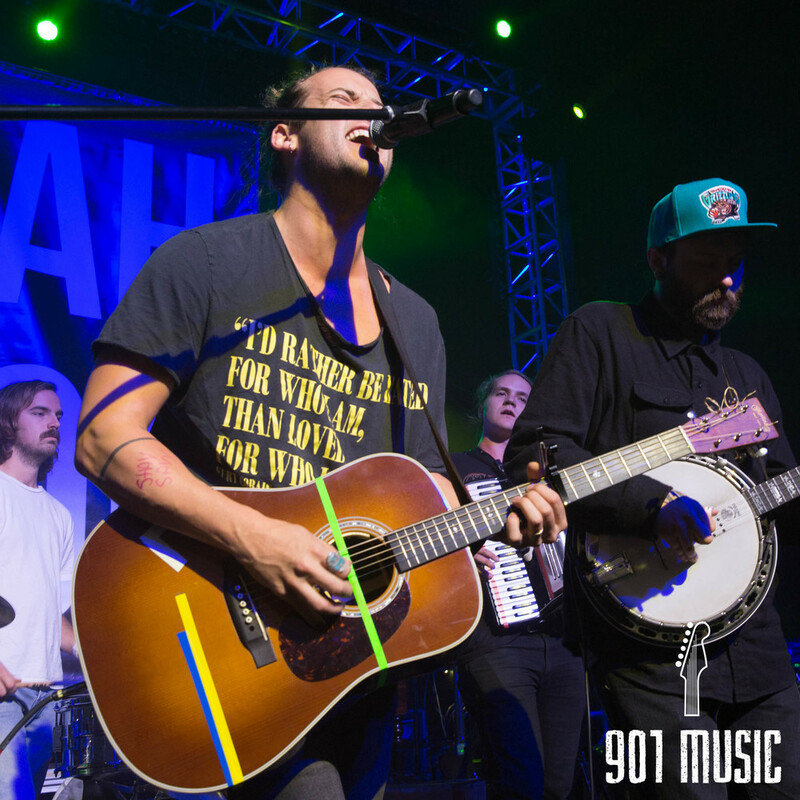 Ben humbly admitted he was shocked when told that the Memphis show was sold out. “That has to be a mistake?” he pondered. He was genuinely grateful to this audience for their overwhelming support. A very polished and accomplished pianist, in a suit and tie, Ben was almost the antithesis to Judah (with his man-bun and scruffy appearance). Which makes one wonder, how do these two artists appeal to the same audience? It’s their authenticity. Both Judah and Ben are SO REAL. The transparency they both shared with this crowd was a beautiful thing. The emotions they evoked in their music from songs written from the heart is a rare thing in the realm of popular music today. Feel free to share the below Instagram-ready photos from the show with the following photo credit. Please do not crop or manipulate the photos in any way. We also encourage tagging the artist when posting.